Per Homeland Security Presidential Directive 12, Army Directive 05-2014 and Carlisle Barracks Regulation 190-7, Installation Access, all visitors and un-cleared contractors desiring unescorted access to Carlisle Barracks, must be vetted through the National Crime Information Center Interstate Identification Index (NCIC-III). NCIC III is the Army's baseline background check for entrance onto Army installations for Non-Common Access Card (CAC) holders. Unescorted visitors coming to Carlisle Barracks, who do not have a Federal government-issued identification card, will be vetted through the National Crime Information Center Interstate Identification Index (NCIC-III). This is the Army's baseline background check for entrance onto Army installations for those who are 18 and over, without a CAC or Military ID. 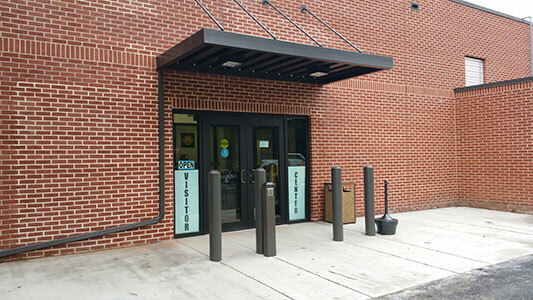 Personnel with a common access card (CAC card), Military ID, Military Dependent ID, or a pass issued from Carlisle Barracks, proceed to the gates. Visitors can obtain a background check and a pass from the Visitor Center. The visitors center will be open Monday-Friday, 7 a.m. to 5 p.m. After hours, weekend and federal holiday, visitors will process through the far right guard booth as you come around Jim Thorpe Road. Processing times may be delayed on weekends and after hours due to truck processing.